Propellar shell scientific name: Cyrtodaria Siliqua. 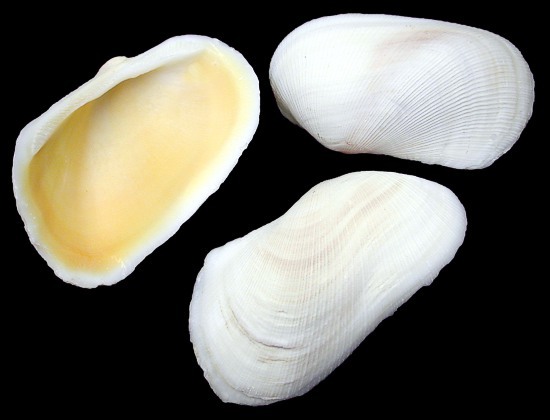 Propellar shells are bivalves, having a top and matching bottom shell. We are not offering the complete bivalve but a single shell. This is a thick heavy shell having a surface filled with concentric grooves. They are found in moderately deep temperate water.